Also: New Chef @ The Bird, Feed Your Zen. After a decade in Emigration Canyon, Carl Weyant and his crew have closed the Sun & Moon Cafe and are opening Bleu Bistro (1615 S. Foothill Drive, BleuBistroSLC.com). As at the Sun & Moon, Bleu Bistro will offer rock-solid cooking, wine & cheese tastings and gourmet specials. Every Friday will bring live tunes to Bleu Bistro, periodically featuring nationally known artists. 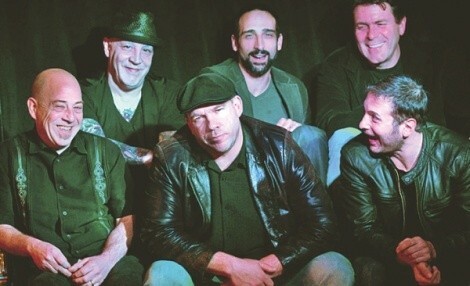 The next big show at Bleu Bistro is The Chris O’Leary Band, appearing on July 2. Call 801-583-8331 to reserve your spot. Zao Asian Cafe—where the slogan is “feed your zen”—has opened at 639 E. 400 South in Salt Lake City (801-595-1234, ZaoAsianCafe.com). Zao features fast, fresh food like banh mi sandwiches, rice bowls, salads and Asian-style tacos, including a selection of vegan and gluten-free dining options. Select your meal from the aforementioned choices and then customize it with your choice of protein, including yummy Thai-spiced tofu and spice-rubbed seared steak. Zao bowl meals offer a choice of white rice, brown rice or rice noodles. The soothing decor is gorgeous and there’s also a kids menu.